Actually, this PC is designed for children (under the Intel Classmate project). 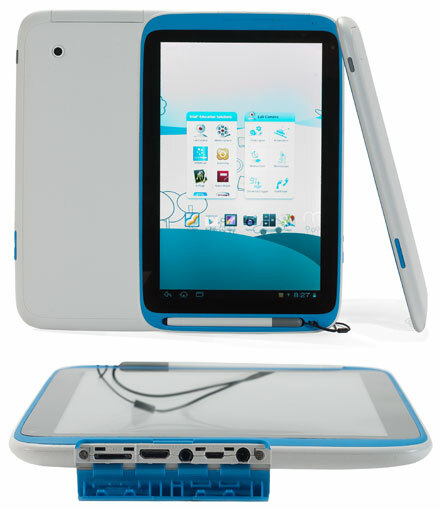 As a result, this TabletPC is also ideal for applications in difficult environments. The PC is designed for everyday use, the housing is shock resistant and of high quality workmanship and value. Careless handling can not harm the system. Therefore the system is also suitable for eg. car workshops and mobile use. System comes with pre-installed Android 4.0.4 (OTA/GMS supported).